This is just a beautiful photo of a natural setting, hands down. I cannot believe the sky is that blue. I am moving there. It was blue here today but not until about 4 pm. I love the sky between those boulders. Thank you Noelle. In that part of the state the sky is that blue, it is in Prescott my families hometown. 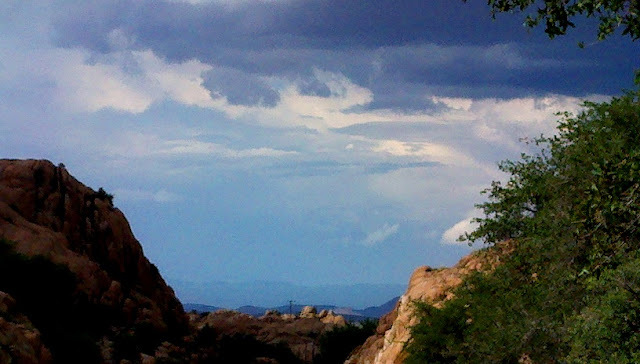 The area is known as Granite Dells. My nephew and I live in Phoenix and the skies are not always so blue here due to bad air. He and my partner and I are here for jobs but we plan to get back up there as soon as we can.